RICHMOND, VA (WHSV) - The Virginia Department of Taxation is unable to begin processing 2018 state returns until lawmakers in Richmond reach an agreement on what to do with a multi-billion dollar windfall from changes to the federal tax code. The General Assembly is usually able to pass what is known as 'conformity' legislation — which aligns the state's tax rules with changes to federal law — without any issues. Disagreements persist this year, however, on how to spend extra money from the Tax Cuts and Jobs Act of 2017. Democrats want to give families who earn less than $50,000 a year a tax break, increase state spending and add money to the state's reserve. Republicans, on the other hand, have proposed allowing taxpayers to itemize both their state and federal standard deductions — which is currently not allowed. GOP lawmakers also want to increase the standard deduction amount. After a measure failed in the Virginia House on Monday, both sides pointed fingers. “It is unfortunate that House Republicans are holding conformity hostage at the expense of 2018 Virginia tax filers, in order to advance their own agenda,” said Eileen Filler-Corn (D-Va. 41), the House Democratic Speaker. “Conformity is critically important for Virginia taxpayer to file timely and I’m disappointed that some of my colleagues voted against allowing this emergency legislation to proceed immediately," said Del. Lee Ware (R-Va. 65), the House Finance Committee Chair. Conformity legislation would need to pass by an 80 percent majority, so the governor can immediately sign it into law. In the meantime, taxpayers are left waiting. 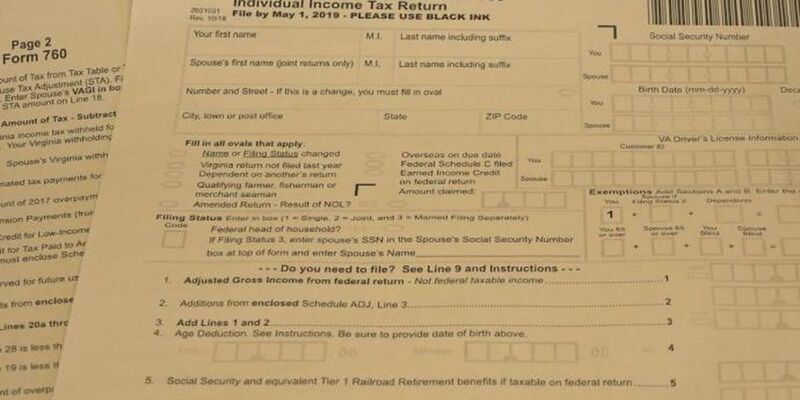 Valley VITA, a free tax filing service, plans to begin its season on Tuesday. “On our end, it’s business as usual,” said Nadina Pupic, the Director of Community Impact for the United Way of Greater Augusta. "We will prepare and e-file all returns and we don’t anticipate any issues with federal. We have been advised that the Virginia State Returns will not be processed at this time but they are still encouraging people to file them on time. "